Counter Logic Gaming give ROX Tigers their first loss of the season. When people talk about Aurelion Sol, they will talk about Huhi. Have ROX Tigers ever played against Aurelion Sol? It sure didn't look like it. CLG showed a dramtical difference in play when they get that champion. Too bad HuHi will never get to play it the rest of the tournament. Level 1 HuHi roamed botlane using ghost, making it a really random attack that early in the game but it paid off for CLG as they took first blood in the game. CLG took this game by storm as they kept pushing advantages, not letting up, over and over. Huhi on Aurelion Sol was absolutely unbelievable. HuHi finished with an 1/1/6 KDA with 32% damage dealt against ROX. The main focus now for Counter Logic Gaming is how they transition this into their own success without the champion. Yes, Huhi played incredible on the champion, but CLG did some really good thing in this match. 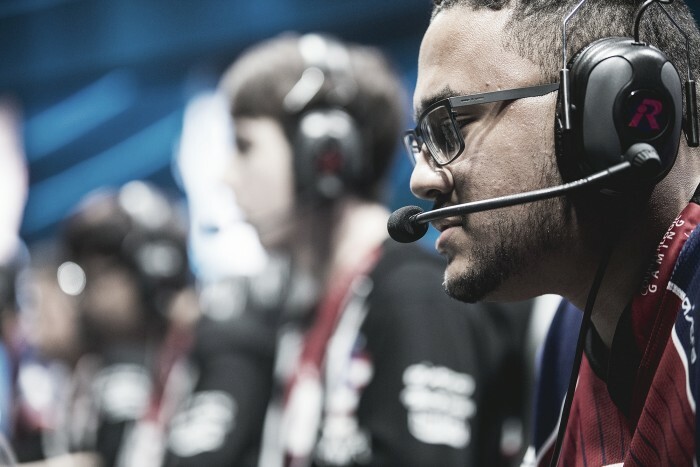 They kept vision control, they made plays as a group, and while having a fed champion helps, you still have to be in the right position to use it. CLG did just that. ROX Tigers shouldn't be too worried about this loss. It really looked lke they hadn't seen Sol enough to play against it. They definitely should be weary of that though. ROX has looked a little shaky lately, as G2 had a pretty much win against them that they threw, but a timely baron steal sealed it for ROX. ROX will get on track and most assume they'll get it back in the second half of groups. ROX and CLG are now on a break until next week when we find out just who makes it out of this group. So much is up in the air and now that ROX dropped a match, it's even more interesting.